1. Compliment your child more often. Aim for three compliments per day. If your child is just learning something new, compliment them to let them know they’re doing well. If they go above and beyond expectations, let them know about it. 2. Don’t yell so much! If you don’t realize how much you raise your voice when speaking to your child, wear five rubber bands around your wrist at the start of each day. Every time you yell, take a rubber band off. This will give you a visual clue as to how much you yell at your children. 3. Be more present. Even if you only have half an hour of uninterrupted time per day, spend that time focusing solely on your child. 4. Get involved with weekly parent challenges from It’s a Fabulous Life. By the end of one year, you’ll be more connected than ever with your child. 5. Hug your kids for a few extra seconds. According to The Happiness Project, it takes a minimum of six seconds to make serotonin and oxytocin, the chemicals that make you happy, flowing. 6. Choose your battles. You may have mastered this skill in your romantic relationships, but when it comes to your children, it’s tempting to harp on every single thing they do wrong. How will they learn if you don’t? Just as with your adult relationships, though, it’s important to choose your battles with your children. Now and then, let low priority battles slide. Even kids need a break once in a while. 7. Punish children according to their age. This can be especially difficult if you have children of varying ages. Don’t be harder on young children than their age calls for; don’t baby older kids, either. 8. As a couple, keep your relationship alive. Even though your children may be your top priority, it’s important to keep the rest of your life at the forefront of your mind, too. For husbands who want to treat their wives to a special Mother’s Day gift, visit www.unicef.org.au/mothersday. 9. You and your partner are going to disagree about parenting strategies now and then, but it’s best to do so in private. In front of your children, always present as a united front. Despite the many guides and books about parenting, there really is no one-size-fits-all path. You’re going to mess up and have regrets, but the point is to continue evolving, learning, and growing as a parent. Great post on parenting. It’s nice to read these posts once in a while to have a small assessment on myself. 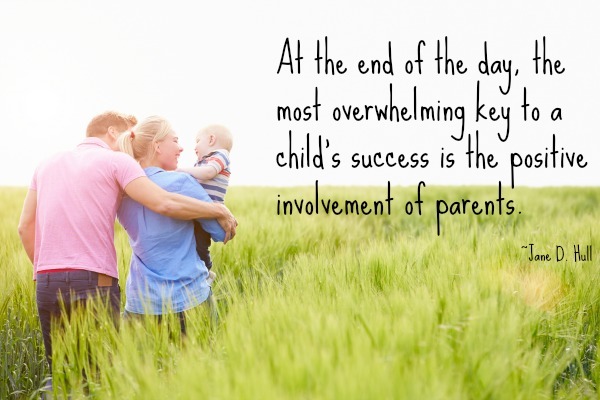 There’s nothing more important in line than being a good parent. Thanks for sharing! Great post. I especially like the point about complimenting your child. I don’t know if anyone ever feels like they are enough or have done enough. I look back and realize I also was kind of growing up while raising my daughter. She has turned out to be a great young adult but I still always wonder. Complimenting your child is a huge thing to do.